Home Products Taurus Crepe Maker Variable Heat Settings Stainless Steel Black 30cm 1200W "Crepe"
Taurus Crepe Maker Variable Heat Settings Stainless Steel Black 30cm 1200W "Crepe"
Taurus presents their new Crepe maker. Create sweet and salty round pleasures. 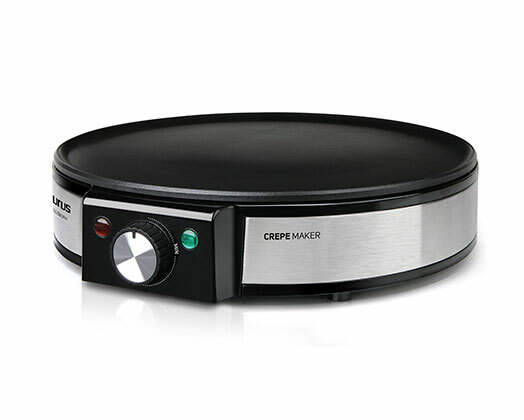 The Crepe maker is designed to make delicious pancakes quickly and easily. With its non-stick plate of 30cm in diameter you will get perfect crepes, whether thy are sweet or salty.